Twenty-one-year-old Kathleen Stegall just graduated from UT Austin and was immediately hired by Austin Independent School District to teach 2nd grade. That was 1971. The new teacher, who lived in Central Austin, kept driving and driving until she ended up at a limestone building way out in the country. "It was totally deserted. It was in the middle of farmland," she said. She was talking about a little place called Oak Hill. Now the place is often mentioned in the morning traffic reports. "I wish I had taken a picture back then," she said. She remembered the nine teachers of the school would occasionally have to chase goats and chickens off the road for the one school bus to get through. "We were happy and it was fun. It was like a one room school house," she said. "Once I got out to Oak Hill, I liked the area and felt a part of the community," she said. 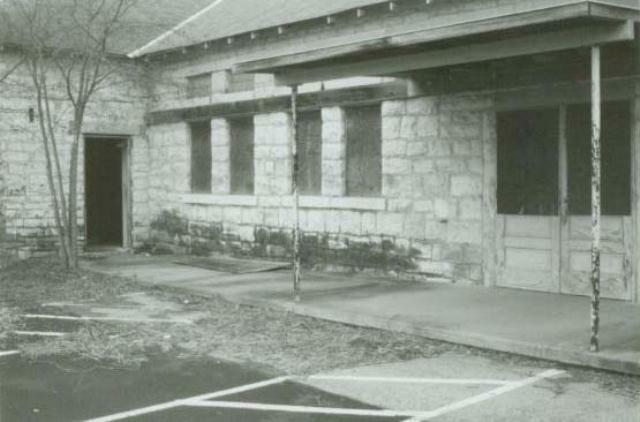 Acording to the historic documentation in the zoning office, in 1923 Oak Hill Elementry’s limestone building was opened. The Oak Hill/Oatmanville area had a long history of education, beginning with a log cabin school in 1856. The large room on the west side of the building was added in 1933 and used for the cafeteria, stage and library. In the 1934-35 school year, the Statistical Study of Travis County Schools listed 59 students and 3 teachers. Two more additions were added on in 1953 and 1958. 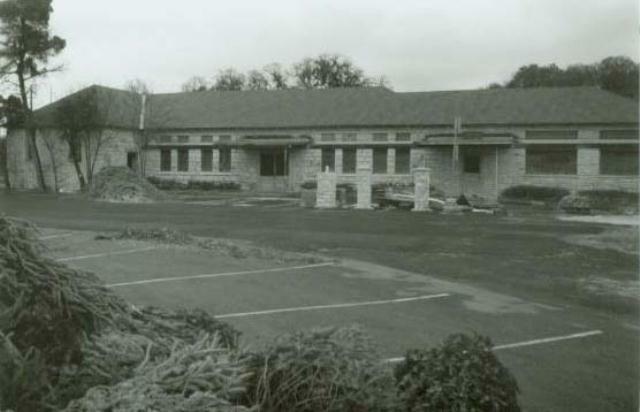 In 1974, the school moved to the modern campus on Patton Ranch Road. The new school made news as an "open" school. The building had no class rooms, only sections in one large room. It was the 1970’s and time of trying different things in he world of education. As the student population got bigger and bigger the school became louder and the open school less practical. Rooms were added in the late ‘70’s Spiegel said, and about five years ago the last of the "open" school feel was gone. The classrooms were back just like the architects of 1923 envisioned. Stegall has many memories of the old place, such no central air conditioning or heat. She remembered the septic tank overflowing. "The ball would fall in during recess and we would say ‘recess is over," she said. She remembered the principal who with one look could put fear into any student or teacher. She remembered buying a window shade to use as a projection screen. A closeup of one of the entrances. Stegall is still teaching at Oak Hill, the last veteran of the old campus, she said. After her marriage to a fellow Central Austinite three years ago, the couple finally moved out to Oak Hill. And the old building is still there. During the Christmas season, the old ball field was rented to a Christmas tree vendor. A door was open on the cafeteria and lighting fixtures with florescent tubes circa the Nixon administration were still there. Jimmy Nassour of the 1825 Fortview Group, the current owners, hopes to see a restaurant move in and says he has had some inquires. She sees both good and bad in the changes in Oak Hill going from a little country town to a growing part of Austin. Stegall has taught children, then saw their children become her students. Like the community of Oak Hill, she has also seen a change in students. With such an access to information, she thinks the children of today are more curious and eager to learn than their parent’s generation, but also more precocious. "Kids today are not afraid of anything. I think that’s for the best ... they are curious and don’t mind letting you know," she said.